For three decades I’ve beeen facilitating and researching teams, plus teaching IT with student teams at Boise State. I strongly believe that collaborative learning is one of the most powerful pedagogies available for college students. But too frequently, team dynamics poison the experience. Peer Assessments could overcome the problems if students could learn from the feedback, but manually combining that data takes too much time. That experience led me to design PeerAssessment.Com, cutting my workload while helping students to grow their team skills. 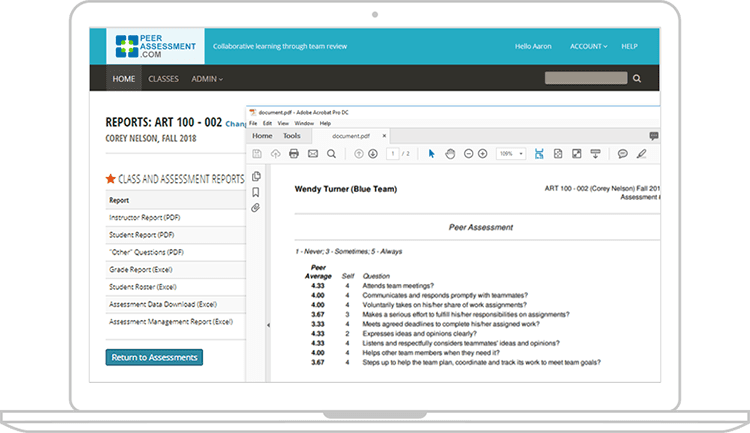 PeerAssessment.Com is peer assessment done right: it automates the peer assessment process, making it easier to hold more frequent peer assessments that return real feedback to students so they can improve their team skills. Prepare a peer assessment for your entire class in under 5 minutes. Then PeerAssessment.Com takes care of the rest; collecting and distributing the feedback to students, plus preparing a grading sheet for you. Please give PeerAssessment.Com a try, and unlock the potential of your student learning teams. “”PeerAssessment.Com is a great individual and team tool to improve and acknowledge participation, production levels, personality conflicts and successful project outcomes. 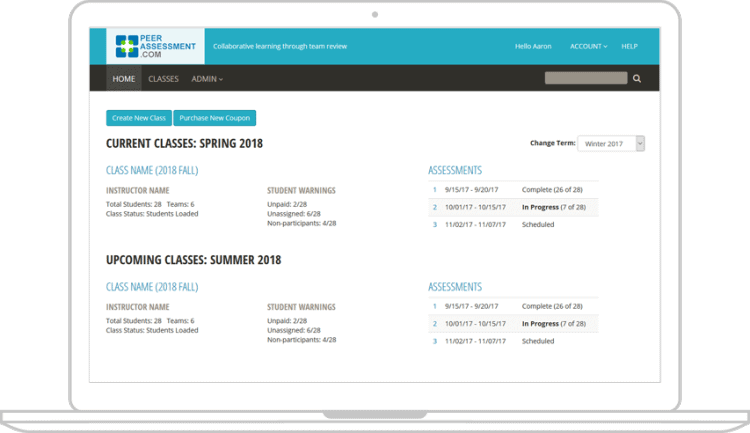 “”PeerAssessment.Com has been immensely helpful for my students to give safe and constructive feedback to their team peers, and I appreciate the direct delivery of results to individual students. 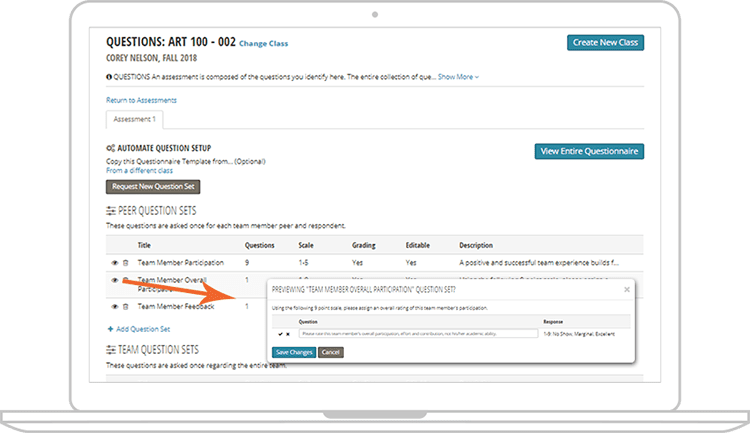 “”Use of PeerAssessment.Com can trigger needed discussions among team members, facilitating the development of shared expectations. “”PeerAssessment.Com can help discourage social loafing, and if it does occur, students have been empowered to influence the grade outcomes. 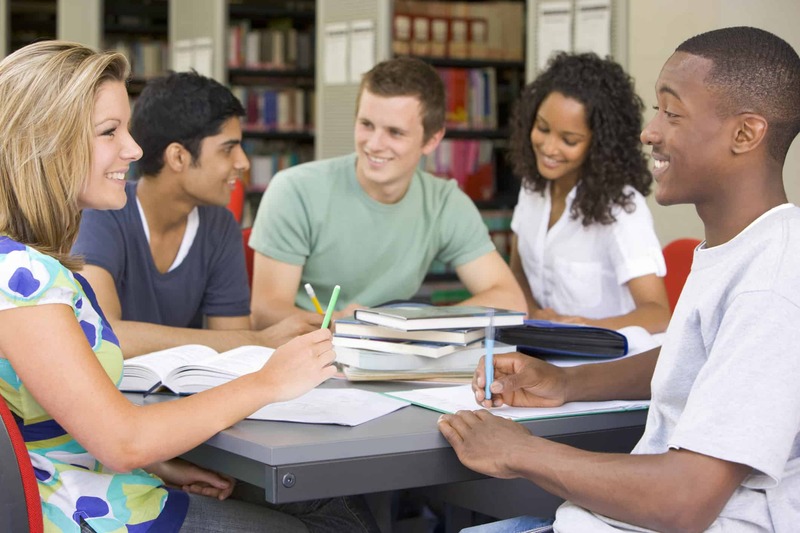 “”PeerAssessment.Com is an important instrument for getting quantitative and qualitative data about each student's performance in group work assignments and group discussion boards. I am very thankful that my program is really digging-in to get this kind of data so that students and teachers can reflect upon individuals' behaviors in group situations. 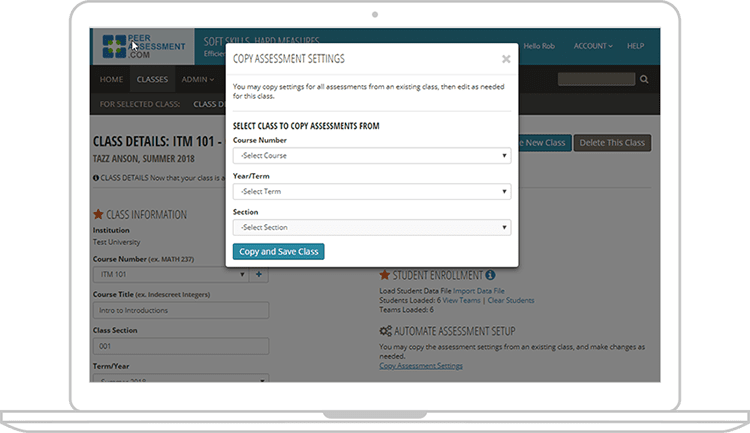 “”PeerAssessment.Com has helped me do a final assessment of individual class participation and major project engagement. It's made a difference in cases where I was not able to determine whether someone who seemed to know it all and who spoke enthusiastically was really the team leader or not. In some cases, that one individual was trying to make up for their lack of earlier participation and engagement in the team project. Pricing is by the class section, with significant savings if larger quantities are purchased. Please contact us for a free trial and pricing details. PeerAssessment.Com is a product of Hot Rocks Consulting L.L.C., owned by Rob Anson. It was designed by Rob Anson and developed by Aaron Day at Thrive Web Design, in Boise Idaho. This tool would be no more than a bygone dream were it not for Aaron’s artistic and technical genius, let alone his infinite patience. Dr. Rob Anson has three decades of facilitating and training groups as a consultant as well as a researcher. He just completed 27 years of teaching at Boise State University in Management Information Systems in the College of Business and Economics. While teaching technical topics and capstone project courses, student teams have usually been at the core of his approach. Rob’s background includes extensive consulting and research as a team meeting facilitator, using computerized and traditional techniques to assist hundreds of teams from business, government and nonprofit sectors. 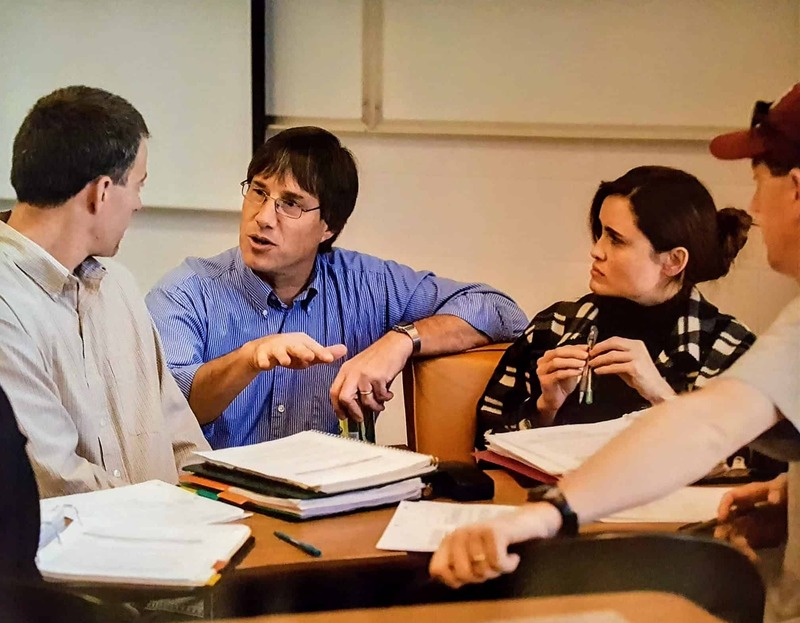 Anson has consulted widely with various groups particularly in the areas of business process modeling, and project management, and has supported or led the implementation of eight campus-wide information systems at Boise State. He has published articles in journals such as Management Science, Journal of Small Group Research, Assessment and Evaluation in Higher Education, Journal of Educational Computing, and International Journal of Management Education. In addition to his faculty responsibilities at Boise State, Dr. Anson is proud to have served as the first Faculty Ombuds and the first Residential College Faculty in Residence. 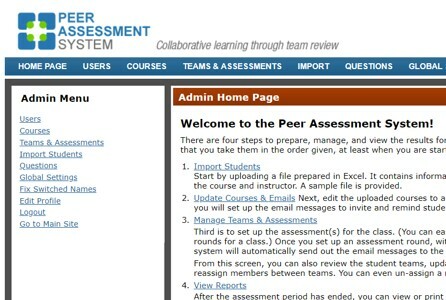 PeerAssessment.Com Version 1.0 was hatched in 2009 as a Qualtrics – MS Access prototype, born out of frustration with paper-based peer assessments. In 2011, it was used to design Version 2.0 (nicknamed “PAS”)–a free, fully online version adopted by a growing number of instructors in various disciplines at Boise State and around the country. It became a mainstay for accreditation of programs within Nursing and Business, documenting learning outcomes related to team-skills. In 2018, Version 3.0 represents a complete rewrite from the ground up. It was able to take advantage of numerous technology advancements to become fully mobile (for student aspects) and accessible. 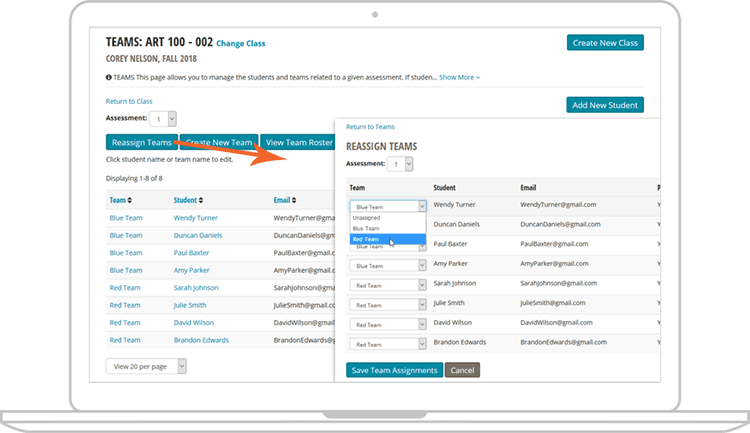 The new design added numerous new features to enhance efficiency for the instructor, provide needed flexibility to customize questions, add functionality to enable multiple instructors and campus-wide administration, plus it established a platform that could be easily and quickly extended.